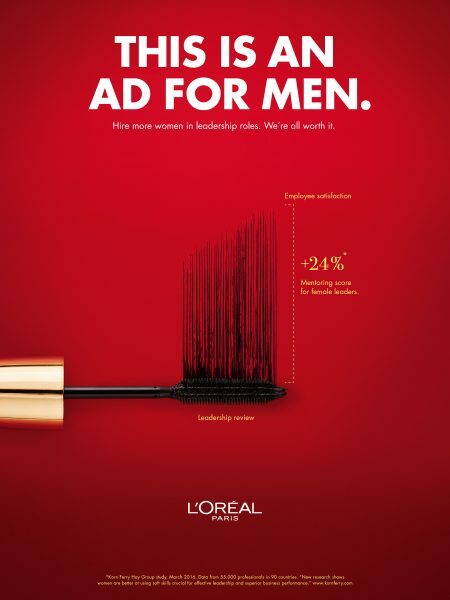 McCann Düsseldorf led L'Oreal's new campaign. A visually inventive campaign from one of the world’s leading cosmetics brands would like businessmen in positions of power to know that women are not just a trending topic. March was International Women’s Month, and many brands and corporate entities took the opportunity to honor their own female executives and highlight the benefits of diversified leadership. 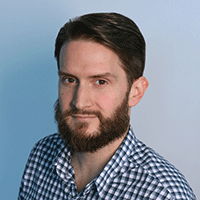 At the same time, quite a few acknowledged the considerable progress to be made. Others, like State Street Global Advisors, of Fearless Girl fame, received bad press for failing to live up to their professed ideals on gender equality. That company’s senior managing director later wrote an op-ed explaining that its decision to vote against gender diversity shareholder proxy resolutions did not reflect its efforts to move closer to equity in matters of both pay and leadership. 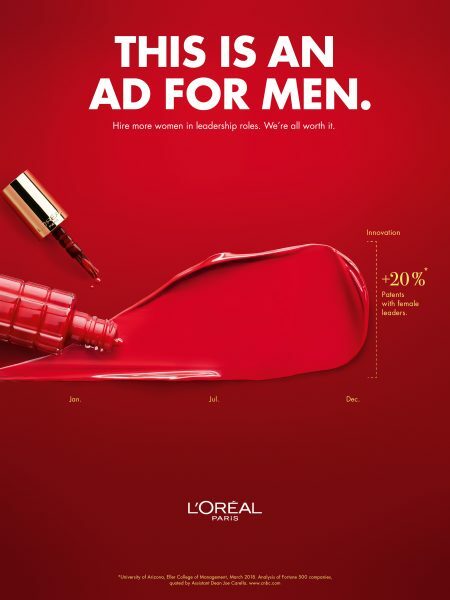 An International Women’s Day effort from L’Oreal Paris simplified the message by demonstrating the benefits of female leadership via some of the corporate executives’ very favorite things: charts and graphs. But there’s a key difference here in that they’re all made of cosmetics. Creative agency of record McCann Düsseldorf drew on global surveys connecting diversity in the workplace and the boardroom to three key measures of success: profitability, innovation and employee satisfaction. They then turned the numbers into visually striking illustrations of the degree to which companies benefit from hiring women in leadership roles while simultaneously displaying the brand’s well-known products. When presented in this way, the print spots promoting Color Riche, mascara and nail polish provide an immediate and visceral connection between more women in the boardroom and a healthier balance sheet. The statistics presented were drawn from global studies by the Peterson Institute for International Economics, the University of Arizona Eller College of Management and Korn Ferry Hay Group. Their message can also be read in a way that’s specific to Germany where they were created. According to a 2019 survey by Ernst & Young, women account for only 8.6% of board members at publicly listed German businesses. 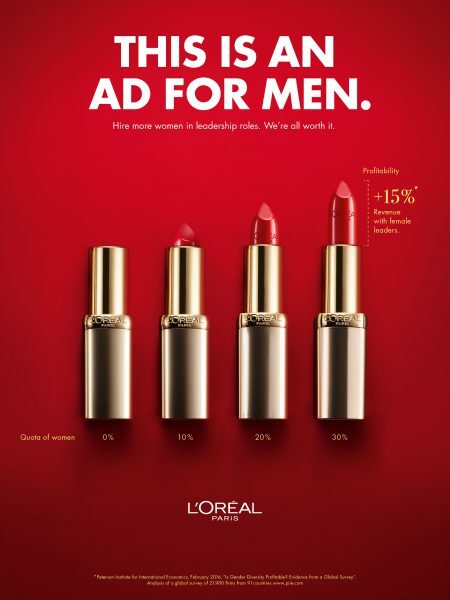 In keeping with the dual nature of the campaign, these ads ran in both top business magazines and fashion publications like Vogue and Cosmopolitan as part of L’Oreal’s Women of Worth program. 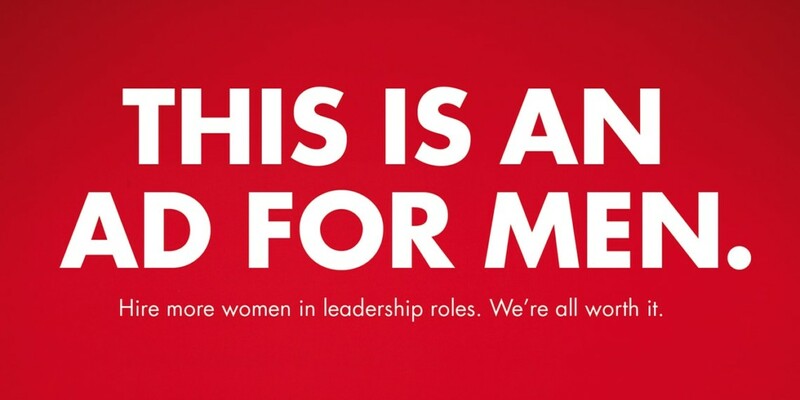 One may also note that every member of the McCann team credited with working on this campaign is a man. Ours is not a perfect world.